A theoretical study of a simple analytical model of biomass accumulation to assess conditions of the neutrality of CO2-emissions from burning wood (biomass) is reported. Conditions under sustainability defined with respect to harvesting are shown to satisfy requirements of CO2-neutrality on local scale while burning wood under conditions of shrinking global forest area is not and should be taken into account in the balance of global emissions. 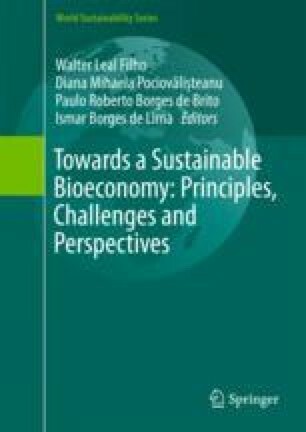 Other ecological restraints—conservation of biodiversity in particular, are discussed concerning conditions imposed by the economic system and reflecting on the visions of bio-economy. The underlying studies drawn on in the paper have been made possible by the Latvian National Programme of Research and the Horizon 2020 project of grant agreement No 654371.